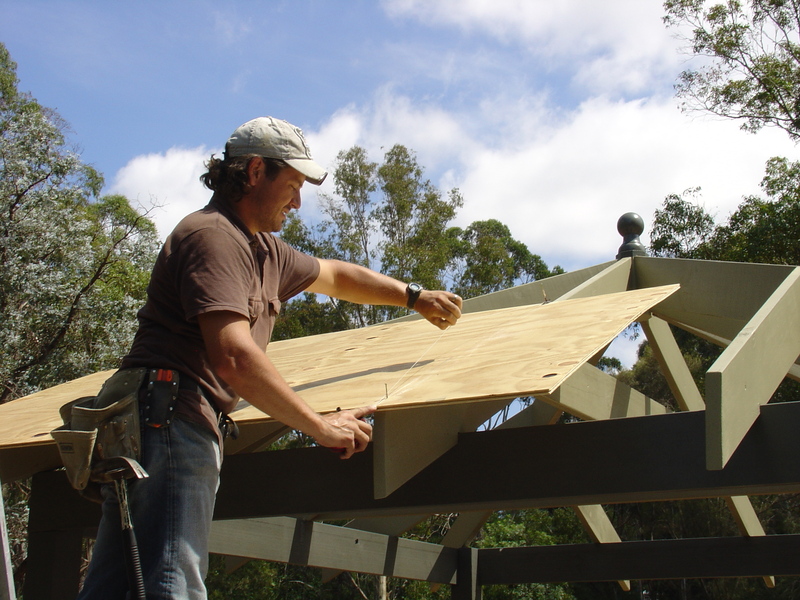 Outdoor gazebo detailed do it yourself roofing guide. 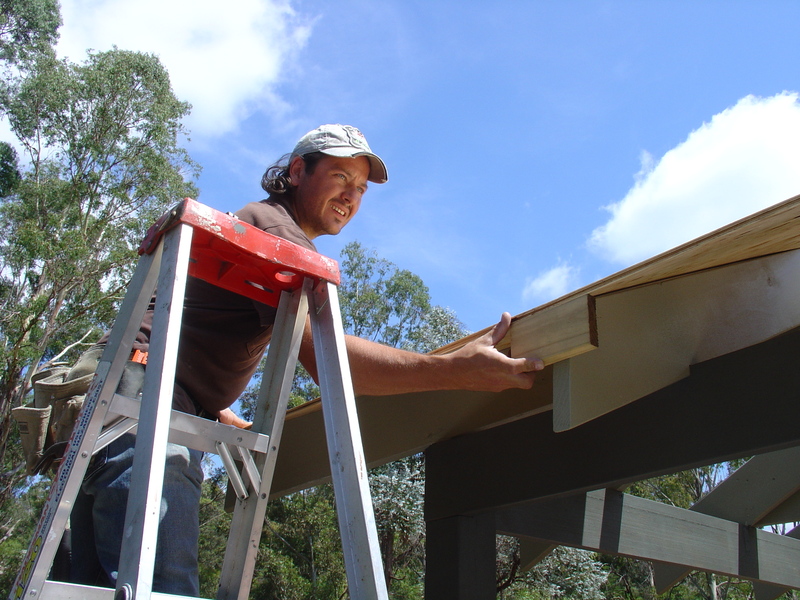 Hi I am Richard and I’ll start by showing you a step by step guide on how to install an outdoor gazebo roof with asphalt shingles. 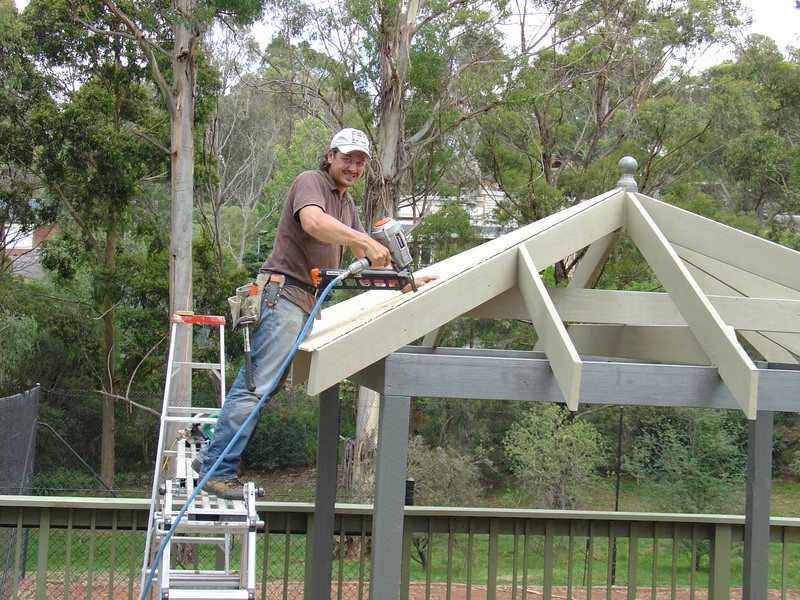 The same installation technique can be applied to a garden gazebo, patio, pergola, shed, garage or even your home. 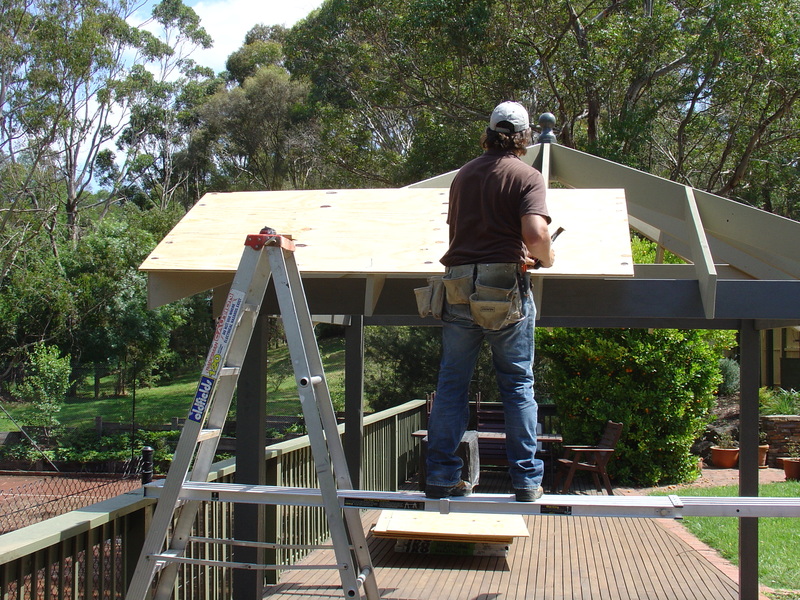 When we send out this comes in an outdoor gazebo kit with all of the necessary roofing materials ready to use. We need to take a few measurements to calculate the materials needed for the job. Generally, asphalt shingles come in bundles of 21 pieces which cover 3m². Calculate the total area of the roof. Calculate the total length around the bottom edge. Measure the combined total length of the hips and ridge. Calculation number 1 will determine how many sheets of plywood you will need. A standard sheet of plywood is 2400mm x 1200mm. One of these sheets is equal to 2.88m². Generally you can work with about 10% wastage. 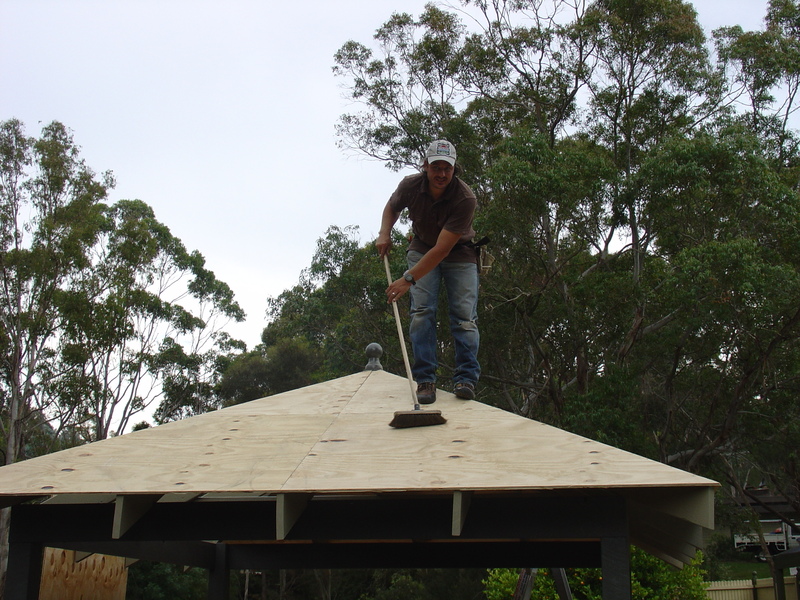 It will also show how much asphalt impregnated roofing felt you will need – Add 10% for wastage. (more on roofing felt later). It will also give you part of your asphalt shingle requirements. Calculation number 2 will show you how many meter’s of starter course and metal drip edge you will need – each bundle of asphalt tiles has 21 lineal meter’s of starter course. (I will go into detail later). Calculation number 3 will tell you how many bundles of asphalt tiles you will need for the hips. Each bundle of asphalt tiles covers 8.8 lineal meter’s of hips (or ridge). Hammer, Measuring tape, chalk line, spirit level, Long straight edge, Hook blade knife, Compressor with framing gun (not necessary), circular saw set to 17mm deep cut, 15-20mm shank galvanized clout nails with a 10mm head, basic blade knife, 2 power cords, tin snips. At this early point you will have to run a straight edge over the rafters to check that they are all level. If they are not you will need to use a plainer to take some off the tops of the rafters. Asphalt shingles are very low profile / flat and any difference in the rafter height will be seen easily in the finished roof. 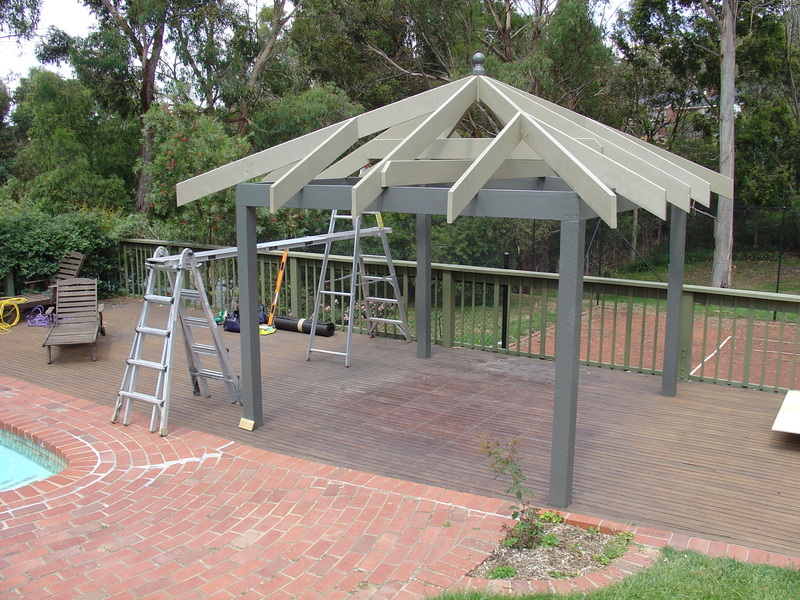 TIP “The rafters for this Outdoor Gazebo were spaced at approx 680mm center’s. 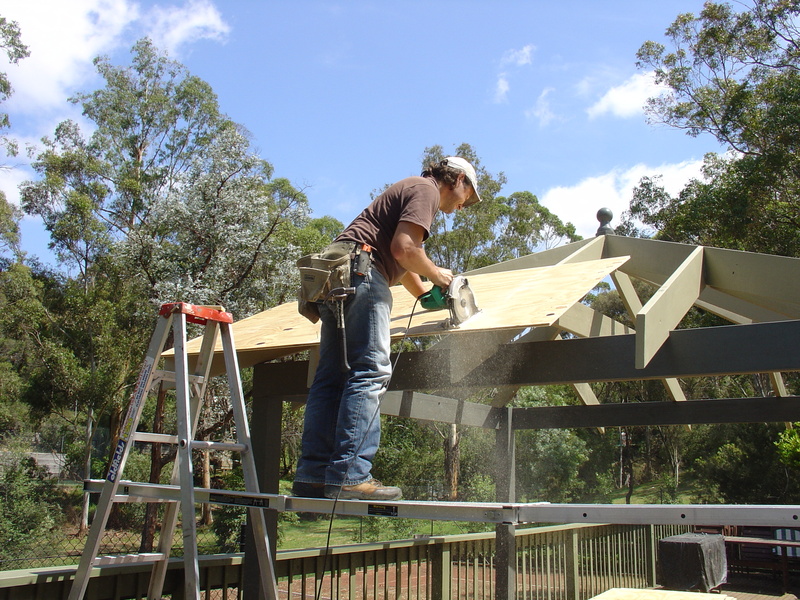 It is much better to space the rafters at 600mm centre’s (centre point from rafter to rafter) so you maximise the use of the plywood and have less cutting”.